This last week, some of the greatest and most influential minds in tech today packed a conference room in the valley. The infamous Steve Wozniak, co-founder of Apple. Gopi Kallayil, Google's Chief Evangelist of Brand Marketing. Pat Wadors, LinkedIn's Chief HR officer. Kirsten Davidson, Glassdoor's illustrious Head of Employer Brand. Big-time authors made it, like Mike Michalowicz, the author of "Toilet Paper Entrepreneur" and Guy Kawasaki, the author of "Rich Dad Poor Dad". The list goes on and on. The conference was a gift from Nextiva, a business VOIP cloud phone system company trusted by more than 100,000 companies. And between November 14th and 16th, they hosted NextCon, plucking up some of the most innovative speakers and thinkers and setting them down together in the Phoenix. Thomas Gorny, Nextiva's CEO, helped flesh it out. "Our company DNA is not just about selling products," he said when I asked. "It is about helping businesses get better. We wanted to create an event where we could provide content that really helps businesses." 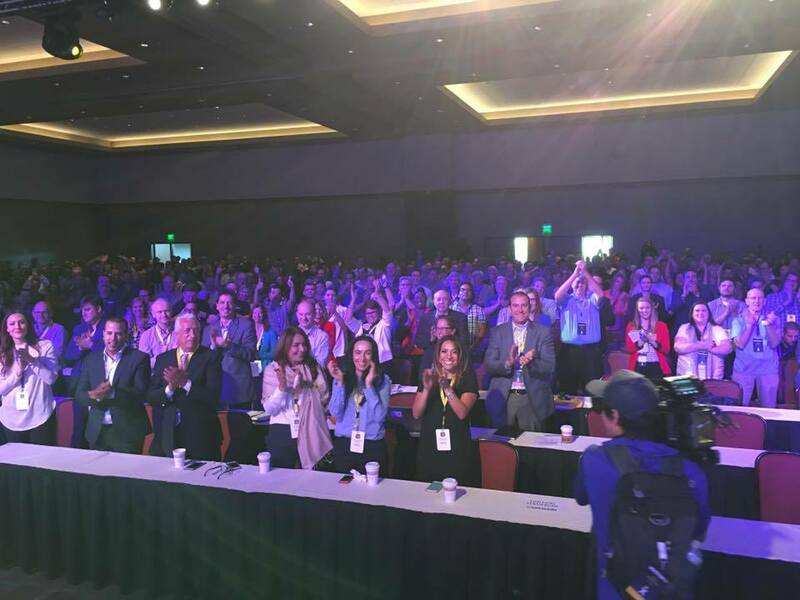 This desire to help businesses, especially in the Phoenix's burgeoning entrepreneurial scene, rang throughout the entire conference. In particular, one of their more helpful offerings was their array of educational workshops. These workshops covered nearly everything; landing page optimization, small business marketing strategies, top online advertising strategies, SEO strategies, video marketing, social media and more. These workshops absolutely underlined Yaniv Masjedi's vision of the event. 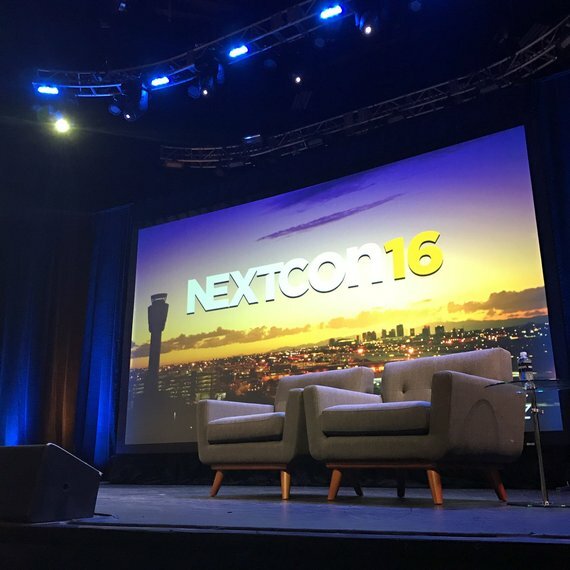 When I asked Nextiva's CMO about NextCon's objective, he said, "We wanted to make it more about learning." He paused and continued, "Making Arizona a strong business community is really our responsibility as part of that community." And learn I did, from some strong players in that Arizona business community. I had the opportunity to attend "How To Boost Your Bottom Line With Social Media," a fantastic workshop run by an Arizona startup called the Bloguettes. Their information was seamlessly presented and hugely beneficial. I particularly loved the insightful glimpses they gave us of each social media channel, along with the advantages and disadvantages of each. One of my main takeaways; their focus on Pinterest taught me that 82% of Pinterest users are female, 70% of them are under the age of 45, and Pinterest drives high volumes of traffic to websites. Therefore, if the target market for your business is women under the age of 45...well, you do the math. Jamie Seeker, a small business consultant and founder of Seeker Solution, stated, "From attendees to the vendor and obviously keynotes, the place was filled with such high caliber intellect and talent and I did all I could to soak it all in like a sponge." I also interviewed Michael Young, the co-founder of ROVR, a dating app that is redefining connection by letting users look for friends, casual dates, or serious relationships. "My team and I could not be more grateful to have this caliber of a conference in our backyard," he said, summing up the thoughts of most conference attendees. "Phoenix is redefining itself as a leading location to start a business." After a long 3 days of learning, I felt the exact same way. This conference has definitely had a lasting impact on hundreds of people's lives and has made a big dent in flooding our wonderful state of Arizona with more entrepreneurial spirit.